More students than ever before are applying for admission to KCUMB’s two colleges. KCUMB’s College of Osteopathic Medicine leads all osteopathic medical schools for percentage increase in applications as compared with one year earlier. According to data provided by the American Association of Colleges of Osteopathic Medicine Application Service (AACOMAS), KCUMB had received 5,287 applications as of Nov. 21, an increase of 36 percent. 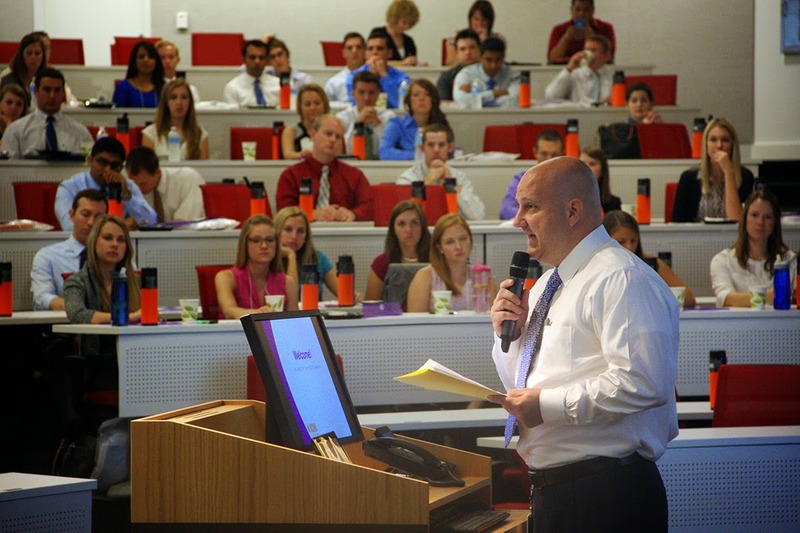 In fact, KCUMB’s growth in applications is more than twice the average of 17 percent for other colleges of osteopathic medicine. Numbers for the University’s other degree programs are just as impressive. The one-year bioethics program, which recently became part of the College of Osteopathic Medicine, has received 59 applications compared with only four at the same time last year. Combined applications to both the one- and two-year biomedical sciences tracks currently stand at 570, compared with only 34 at the same time last year. Students and faulty mentors gathered to showcase their research Nov. 19 during the 23rd annual KCUMB Research Symposium. The theme for the event, which included more than 30 research presentations, was "Seeing Osteopathic Medicine Differently: Structure and Function are Reciprocally Interrelated." Flavia Costa, Ph.D., research instructor in the College of Biosciences, served as chair for the event, and Steven Gustafson, D.O., assistant professor of pathology, was the co-chair. Keynote speakers were Pedro Lowenstein, M.D., Ph.D., of the University of Michigan School of Medicine, and Lynda Bonewald, Ph.D., of the University of Missouri-Kansas City School of Dentistry and Center of Excellence in the Study of Dental and Musculoskeletal Tissues (CEMT). View our photo gallery. The Norbert W. Seidler, Ph.D., Prize for Research (First Place): Richard Thompson, "The Effects of Obesity on the Pharmacokinetics of Pantoprazole and CYP2C19 Activity in Children and Adolescents with GERD"
Second Place: Megan Ottomeyer, "Evaluation of Ciclopirox and Auranofen as Potential Chemotherapeutic Agents for Use Against Osteosarcoma"
Third Place: Kanwar Singh, "Respiratory Health Among Low-Income Residents of Subsidized Housing Complexes"
Betty Jo White, D.O., FACOS, Prize for Research: Flavia Costa, Ph.D., "Induction of Fetal Hemoglobin by Transcriptional Co-Activator TSPYL1"
A group of first- and second-year osteopathic medical students at the Kansas City University of Medicine and Biosciences volunteered their time the past several weeks to train children for a 5K run. 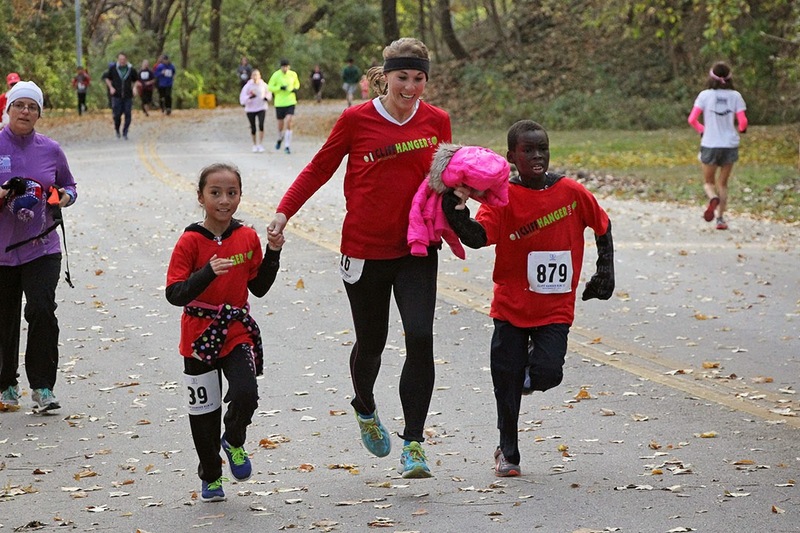 On Sunday, Nov. 2, the KCUMB students experienced the joy of running alongside those children as they accomplished their goal of completing the 29th annual Cliff Hanger Run in Kansas City, Mo. Approximately 15 members of the Fit Doctors Association, a student organization at KCUMB, partnered with three elementary schools near the campus to train third- through eighth-graders in preparation for the Cliff Hanger Run. KCUMB purchased new running shoes for each of the 70 children who participated in the training program, approximately 30 of whom ran in the race. Read about our efforts in The Kansas City Star. Read about our efforts in the Northeast News. See coverage on KSHB TV.